Key to the program’s success is translation software newly developed by translateyourworld.com/. The refugees typically speak languages like Arabic, Kurdish, Berber, and Hausa, and cannot understand therapists who speak only European languages. The new software allows the counselor to speak German, English, French, Russian, Spanish, Italian, Portuguese, Greek, or Russian, but the client can read the therapist’s words in real time on their Smart phone or computer screen in Arabic, Turkish, Azeri, Swahili, or several other languages. An additional benefit to using the immediate translation software is that clients become more at ease with the native language of the country they are entering. A typical interaction, for example, is a German speaking therapist counseling an Arabic-speaking client. Since Germany is interested in assimilating refugees who qualify to remain as permanent residents, such an interaction is useful in helping the migrant learn a new tongue, since they are hearing the host language (German) at the same time as they read the target language (Arabic). Plans are in the works to extend the program to other refugee crises, such as those facing the Rohingya in Southeast Asia, and Hutu and Tutsi peoples in Rwanda and Congo. 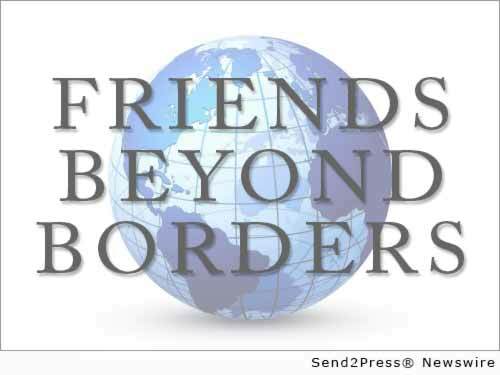 For more information contact friendsbeyondborders@gmail.com, or go to http://Therapion.com/ or http://translateyourworld.com/. Original Keywords: John Toomey, Rohingya in Southeast Asia, and Hutu and Tutsi peoples in Rwanda and Congo, Adelina Foundation and Friends Beyond Borders, Growthnet Friends Beyond Borders Cambridge Massachusetts CAMBRIDGE, Mass. REFERENCES: General Editorial News, John Toomey, Rohingya in Southeast Asia, and Hutu and Tutsi peoples in Rwanda and Congo, Adelina Foundation and Friends Beyond Borders, Growthnet Friends Beyond Borders Cambridge Massachusetts CAMBRIDGE, Mass.